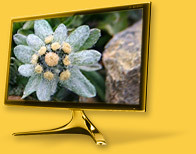 Dishan Kala. 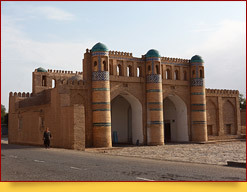 Outer Town and the Gates of Khiva. 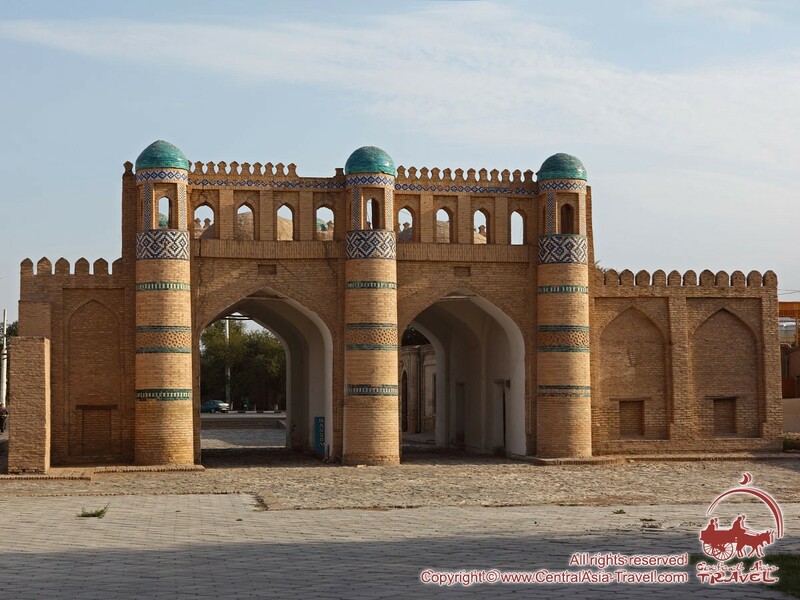 Monuments of Khiva. 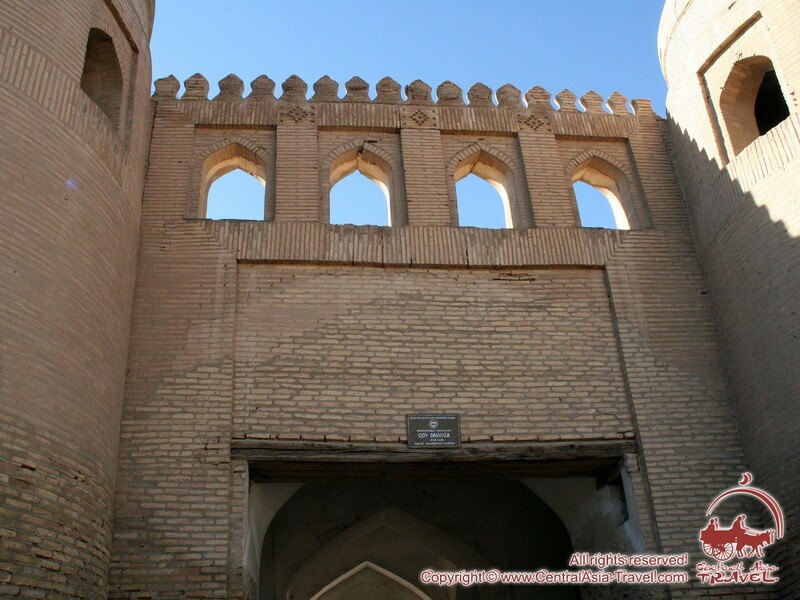 Khiva is an architectural museum city. 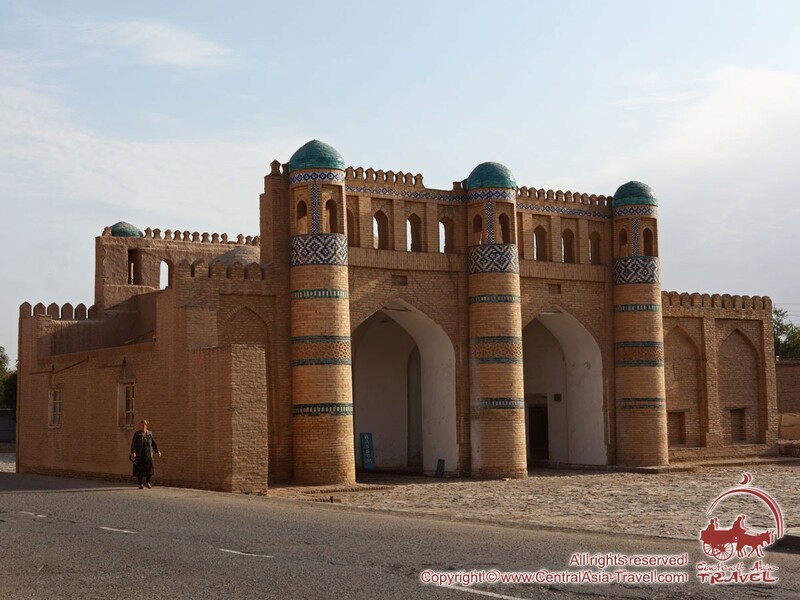 It consists of two parts: Ichan-Kala inner town and Dishan-Kala outer town. They are separated from each other as defense circles. Unfortunately, Dishan-Kala has survived into the present much less than Ichan-Kala. 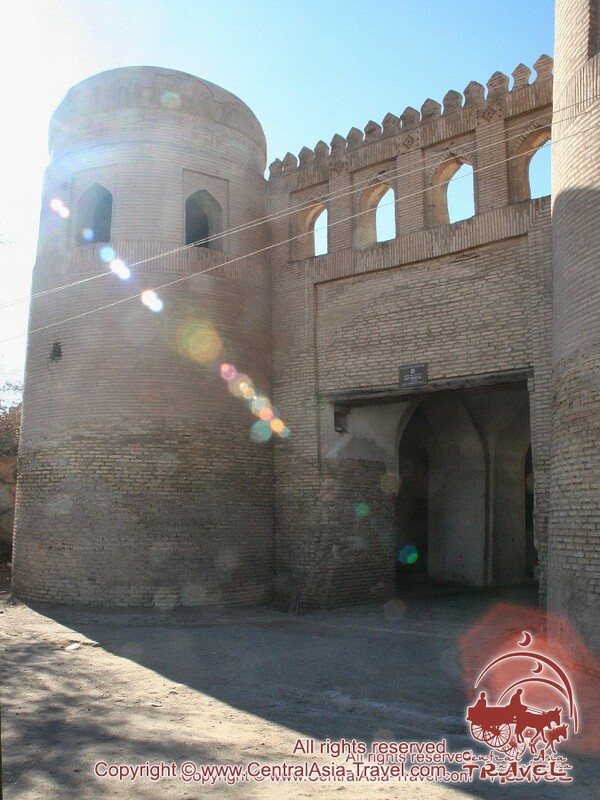 Only the gates Kosh-Darvaza, Gandimyan-Darvaza and Khazarasp-Darvaza are left of what once was a massive fortification wall. 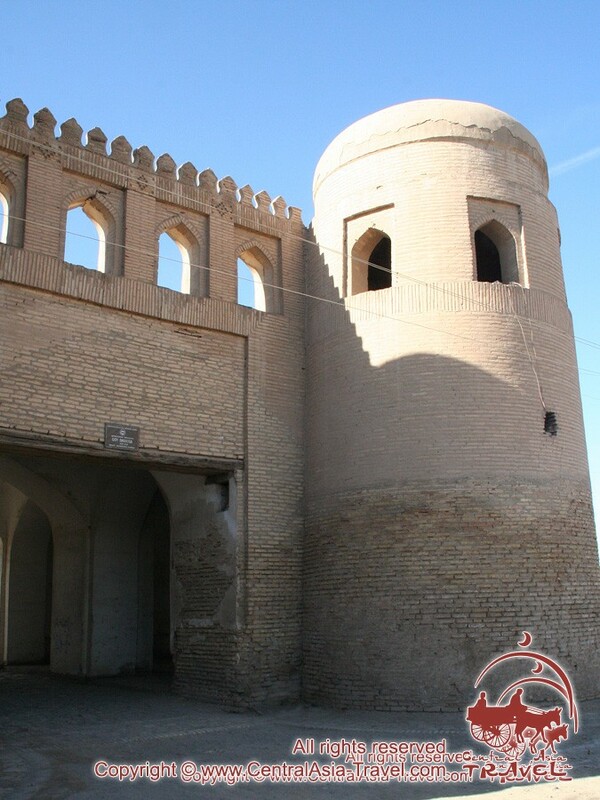 Dishan-Kala fortification wall was built at the instigation of Allakuli-Khan’s in the mid-19th с so as to protect the city from attacks of Turkmen tribes. The khan issued a decree requiring that each of his subjects work at the construction site of the wall for 12 days a year - for free, of course. Since the khan had over 200,000 men, the wall was built quite quickly - in 3 years’ time. Its length was 6,000 meters; it was 8 meters tall and 6 meters thick. They built it of saman adobe bricks. The wall had turrets standing at regular intervals along its length. The upper part of the wall was crenellated; it had narrow arrow slits to enable effective defense. 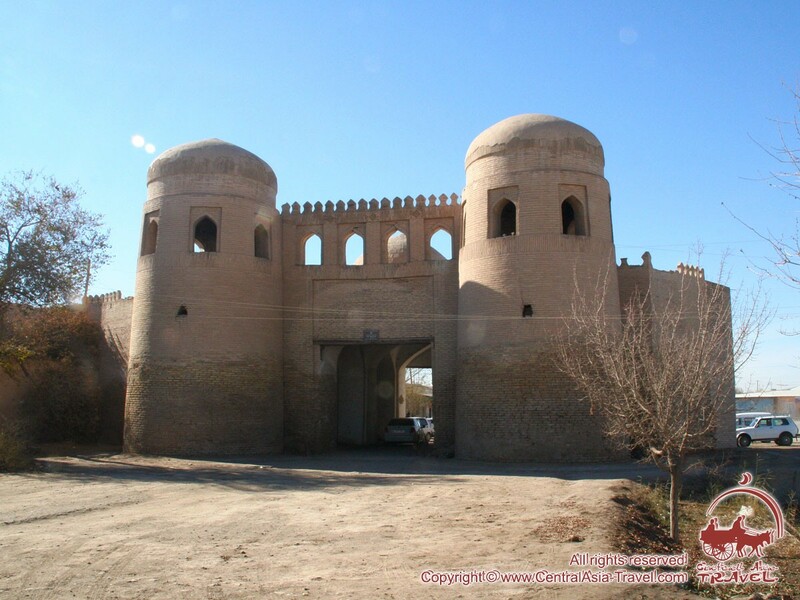 Along the perimeter of the wall there was a moat as another defense, and they locked all the gates at nighttime. The gates were also part of the fortification. Each of them had a turret on either side, and a lookout gallery over it. 10. Gandimyan in the north as well, named after the nearby village.